Millenials are leading the way when it comes to harnessing increased connectivity. Increased connectivity is going to impact on all our lives in a variety of ways. Former IT workers Ben Shaw and Constance Bernard decided to launch a new career to allow them to work less, from anywhere in the world, by utilising technology and increased connectivity. 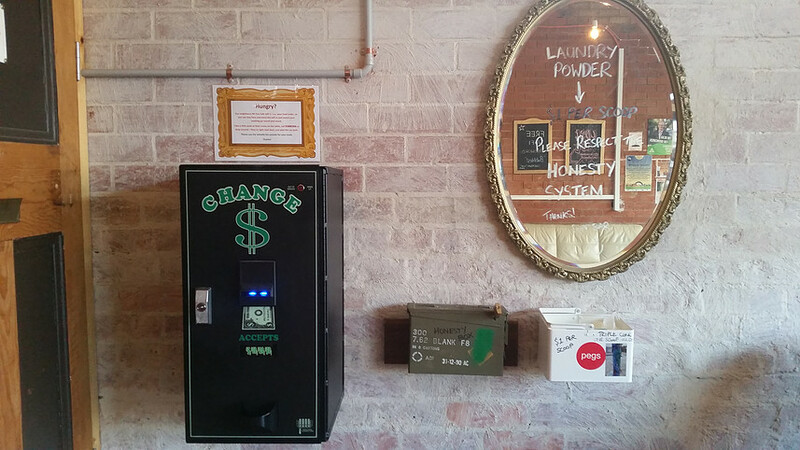 The couple invested in two Soap Bar launderettes in Melbourne that lets them make a profit without physically being in the store. The basic upkeep only requires a weekly visit to clean the machines and empty coin collections. The launderette is opened and closed via automatic locking systems and doesn't need an on-site attendant. "Having a high speed finer connection gives us the ability to have multiple customers connected with bandwidth hungry applications, and still have fast access to our cameras, reports, music and washer management console," Shaw told The Huffington Post Australia. 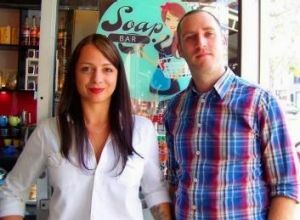 Constance Bernad and Ben Shaw own two Soap Bar launderettes. "The vast majority of problems reported can be resolved remotely thanks to fiber. A customer with an emergency won't have to wait long for us to remotely stop a machine, when a phone or wedding ring is left in a pocket. In our four years running we haven't experienced any internet downtime, but we did a lot of research and chose a reliable internet service provider, with excellent customer service." New research conducted by Western Sydney University has revealed how increased connectivity via the NBN will impact our future generations. Lead researcher of the report, Gen NBN: 2020 and Beyond, Liam Magee told The Huffington Post Australia the NBN will be instrumental in building a stronger national economy. "The completion of the NBN network will see Australia become the world's most connected continent in terms of broadband access, affordability and speed tiers. Our research shows this will help to build a stronger national economy," Magee said. "It will also provide better career pathways, optimise the delivery of innovative healthcare services and implement sustainable futures for our cities and regional towns." Imagine a workplace where you rarely have to physically turn up for work? According to the report, connectivity has become more valuable than natural resources and industrial manufacturing, as digital services driven by access to the NBN network is predicted to boost Australia's GDP by around two percent every year by 2020. Bernard said the beauty of being connected is her Soap Bar business allows her to choose her own hours – although she admits she is often caught doing maintenance at midnight. "For us, being able to spend more time with our 20-month old daughter Rori is priority number one. A lot can be handled from home, but when we do venture in one of us might take her to work, where she's always a hit. We can take our time over breakfast and move at our own pace. Keeping a clean and unique approach to this type of business requires constant upgrades, maintenance and customer service," Bernard said. "Although we're not rich, and probably never will be, having this freedom at this time in our lives is priceless." There are almost one in three homes and businesses around the country which can already connect to the NBN network, with the rollout scheduled to be complete by 2020. There's expected to be a huge increase in online educational resources and services, offering better teaching facilities to help educate people in health and technical services. By 2020, drones, 3D printers, Virtual and Augmented Reality as well as home automation will become deeply entrenched in homes and workplaces. By 2025-2030, there are likely to be well over 50 billion devices or apps connecting everything from our fridge door to our home security systems. Digital technology in health care is increasing exponentially with the advent of big data, advanced video conferencing systems and 3D printing. By 2020, telehealth services, enabled by the NBN network will be able to connect regional, rural and remote areas with access to affordable and convenient GP and specialist healthcare appointments. From now to 2030, the NBN network will be a critical enabler to the success of home-grown start-ups across the country and will help to facilitate access to new markets and business opportunities while still enjoying their country or coastside lifestyles.